Group-winning colt Graff has hadf a pleasing straight-track jump-out ahead of the Lightning Stakes. Star Sydney jockey Tommy Berry has left Flemington with his confidence buoyed after making a flying visit to ride quality colt Graff in a straight-track jump-out ahead of the Group One Lightning Stakes. The Kris Lees-trained Graff contested a three-horse jump-out on Friday morning over 800m for contenders in Saturday week’s Group One Lightning Stakes (1000m). The colt finished a close second to Booker with Lean Mean Machine not far away third. “He actually surprised me how sharp he was without the blinkers on,” Berry said. “Kris said that he might be a bit laid-back and you might have to ask him to do a little bit but he jumped quite well and he towed me the whole way down the straight. “He never felt like he got lost at any stage, which was another good sign. “Obviously the blinkers are going to sharpen him up even more. I was worried about the 1000 metres in the Lightning being too short for him but after his bit of work today, it left me with a bit of confidence. The untapped Graff has won three of his six starts including the Group Three San Domenico Stakes. He was second to Lean Mean Machine in the Run To The Rose before running third in the Golden Rose and fifth in the $13 million Everest. “I think last preparation has really toughened him up,” Berry said. Sydney’s premier trainer Chris Waller was on hand to watch dual Group Two-winning colt Lean Mean Machine. Lean Mean Machine was third in the Group One Coolmore Stud Stakes at Flemington in the final start of his spring campaign last November. “He’s always been a horse that I thought just needed a little bit more time and I think he’s come back a stronger horse,” Waller said. 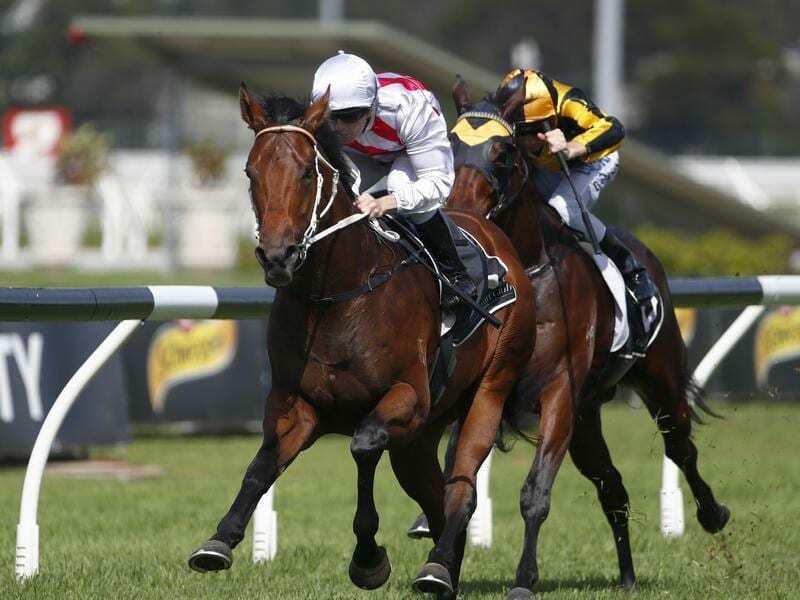 “He’s being set for the Newmarket Handicap. He had the jump-out this morning just to clean his wind ahead of the Lightning.